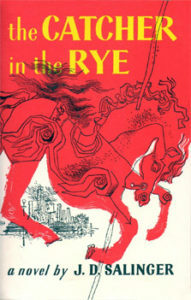 Holden Caulfield is a troubled young man who had flunked out of many boarding schools. He is constantly struggling with the death of his brother and the pressure to go to college and become an adult. He hangs around New York City for awhile before visiting his sister. This is a great book to observe how Holden emotionally evolves throughout the novel.